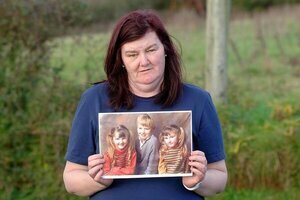 Ahead of a forthcoming independent documentary on Ireland’s longest missing child case. Ann, Margo and Gemma urged Martin to initiate a Dáil debate on the serious allegations about the Garda handling of the case, and to support their call for an inquest into Mary’s death. ….The establishment does not like Gemma O’Doherty. Her former employer, the Irish Independent, made her compulsorily redundant in August 2013. This happened in the aftermath of her investigation into the Garda wiping of penalty points brought her to the front door of the home of former Garda commissioner Martin Callinan. Editor in chief at Independent News and Media, Stephen Rae, called her a “rogue reporter”. She was made redundant a few weeks later. Her investigative instincts appear to have been vindicated, however, and Callinan retired in March 2014 because, he said, “recent developments were proving to be a distraction from from the important work that is carried out by An Garda Síochána”. Gemma received an abject apology at the resolution of her defamation suit against Independent News & Media in January last year. The organisation and Rae acknowledged “the exceptional work of multi-award winning investigative journalist Gemma O’Doherty” and accepted she had “acted at all times in a professional and diligent manner”. I have heard political advisers say of her: “She just won’t let it go.” In other words, she’s not easily fobbed off. 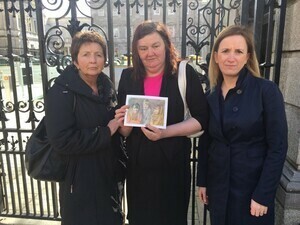 What she sees in the Mary Boyle case is political interference in a Garda investigation into the death of a child, and she just won’t let it go. …It’s time to stop fobbing her off. 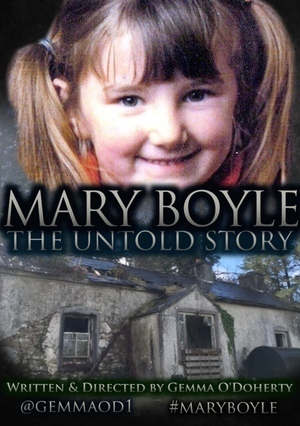 It’s time a “wee girl” called Mary Boyle got justice. ‘If The Suspect Is Brought In A Confession Would Be Forthcoming’ Ignored Robert Black And Mary Boyle Staying In Tonight? Posted in Misc and tagged Gemma O'Doherty, mary boyle at 11:37 am on May 9, 2016 by Broadsheet. What an unkind comment! They have to keep trying. The pain of loss would not be eased by letting it go. See the link to the Irish Times Sybil. But it’s not. It’s a criminal cover up of the murder of a child. Why would you dismiss that? Is it? We’ve felt a lot of heat but seen little light on this topic so far. yes, gives one faith that here are a couple of real journalists on these shores as opposed to the majority of PR repeating parrots masquerading as journalists. Wasn’t it a ‘local character’ that is known..
Can we just stop this Lisa Lionheart style of journalism and go back to Malibu Stacy land..
[opens Irish Times supplement] Raspberry Coulis and Pesto, together at last! Most Irish journalists are part of the problem. 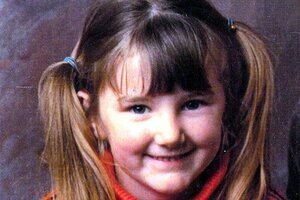 i dont believe the gardai would cover up the murder of a Little girl. This country is full of nasty corrupt officials who don’t care an iota for others. The Catholic Church did it for years too and often with the help of police and journalists who wouldn’t print certain stories. why dont they name This person. My thoughts exactly but if it is indeed true that a politician intervened back in the day telling Gardaí not to arrest the man then obviously he must be a politician himself or a Guard some sort of businessman that has many brown envelopes handed over to said politician. Regardless nobody should be above the law and this stonewalling of these relatives must stop. Well, I’ll assume you are genuine and not being obtuse. Because to name the person in public would prejudice any possible trial and it would also open the family to a possible defamation case should they be found not guilty. There is a proper legal process to follow here but the problem is the police and politicians subverted that from the very start. That is the problem here. she was a very good travel writer. Ok so you’re not genuine then. You probably work for the Indo and are part of the sneering campaign against her. About 7 years ago Margo produced a record , a song devoted to missing Mary and was fundraising in efforts to excavate Castleard to find this child.Margo was performing at the Gleneagles and asked the crowd to support her. I can only admire her persistence and she is out for good…..as is Mary’s twin. Perhaps their valiant efforts are now put on public record by Gemma o Doherty ……good luck to them. it hasnt stopped Cynthia Owen and no I dont work for the indo.